My 17 years in Global 100 companies and non-profit service has afforded me the opportunity to experience the full spectrum from great to awful. The beauty of experiencing it earlier in my career and even now, as I’ve progressed, even gives me greater perspective on how to navigate through it. It’s not always as easy to detect if you’ve got a dud, so here are my top 5 signs and some strategies on how to cope. 1. It’s all about them and never about anyone else. To lead, is to serve. Service is about putting others first, connecting and determining needs and creating a safe space for people to create, debate, innovate, deliver and improve. Good leaders know business is personal. They are acutely aware of their stakeholders: customers, partners, and investors. In my line of work, this list also includes governments, NGOs, and local communities. Bad leaders put themselves at the center of everything, make every decision, dictate, and create a culture of fear. They are notorious for taking the credit for successes and assigning blame when things go south. You know that awesome U2 song, I Still Haven’t Found What I’m Looking For? That’s this leader’s theme song. Often times I have seen folks get promoted because they can deliver, yet they can’t think beyond their silo. In larger companies or non profits, it’s not just about the divisional vision but how that fits into the bigger picture in an integrated, practical and meaningful way. Tunnel vision is for those who can only see within their frame of view. Yeah, this one kinda sounds like #1 a little bit. Leaders who don’t create a vision, drive performance against that vision and create long-term value will fail. This is the classic “blind leading the blind”. If your leader has no vision…expect chaos and confusion. 3. **** or get off the pot. Leaders get things done. They perform and measure their contributions. This is one of the signs that can send different messages, though. Bad leaders truly think activity = progress. Nope. Activity is just a bunch of moan bit**ing about being “busy”. It usually manifests into over hiring and loads of waste. This happens because there’s no vision in sight or clear lines of accountability. (Yes, these things do build on each other.) Most leaders that fall into this trap are the ones who have no vision, oversubscribe themselves and their teams, micromanage everything, lack the ability to empower people, and fall short on most if not all commitments. 4. Hello My Name is KIA. Know. It. All. Oh my favorite kind of leader is one who knows every answer. Seriously, I can learn a lot from a KIA and so can you. Exceptional leaders possess curiosity. They know what they lack and it’s their role to shape a team that brings the knowledge, skills and experience into the room to deliver. There’s no debating a KIA, so don’t try. Smile and thank them for their great intelligence. 5. They talk the good talk, but are too good to walk the walk. Does this one need any explaining? 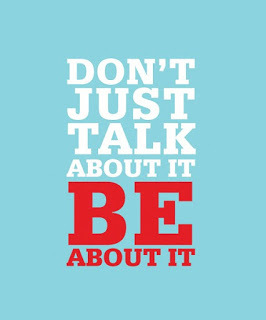 This is about principles and values and your actions being perfectly aligned to what comes out of your mouth. I think of all five this one irks the most. Don’t say you are something or going to do something if you don’t intend on living up to that promise. I appreciate honesty more than games. There is good news… I promise! Bad leaders don’t last. A few things can happen. 1. They get found out fast. If they have any potential, and most do, companies will invest in providing development and coaching. This is the best thing that could happen. It’s a win for you and the leader. Just remember, everyone’s on a journey and those that CAN be saved, are worth the effort, time and money. If your leader has a coach, consider yourself lucky! 2. Their sponsors retire or leave the company thus rendering them powerless. Usually they will follow suit. 3. They are escorted out or one day you hear about them “electing to leave”. 4. They are put in a role where they can’t harm anyone or anything. These situations used to baffle me, but it’s often this happens with some when the risk is too high to do anything else. 5. You might decide to leave. That’s perfectly within your right and an option. Just remember though, there are plenty of duds in this world. Some people never learn, however some do learn, grow and get better. Sometimes too, the best learning is having experienced it. Some of my best assignments and growth spurts were due to how I coped with bad leadership. Tell me, have you ever encountered these signs? Any pitfalls? How did you cope? If you like this article, read The 7 Signs of a Bad Colleague. Good post and reminder that leaders don’t always get in leadership positions because they know how to lead, especially on the technical career path. One of my personal coping mechanisms I have learned is to get perspective. Often when you are gifted with a bad leader, you are not the first or only one to experience their “brilliance”. Knowing you are not alone helps to paint a more complete picture of the things you can’t control but may influence your situation. Thanks Katie! Agree with you, Kim. The other place I see this is in non profit organizations where most people are volunteers and are giving the gift of their time. Motivating employees and volunteers are two separate play books. However, these organizations are great places for people to confront their gaps and develop up. This post describes you perfectly Katie. Thanks Punk. Your name describes you perfectly. You’re making many enemies with your nasty behavior and bad leadership. Plus there are all your lies that your ego has put out there. We see what you are doing, Katie. You’re not fooling anyone. Punk, you’re so cool you can’t leave your real name. Go WIKI Troll and get a life. KWM…you go girl. We’re 150% behind you! The best part? GIRL the best part was the bad stuff. 🙂 It’s what gives you the “knowledge” for what’s next. Good luck. 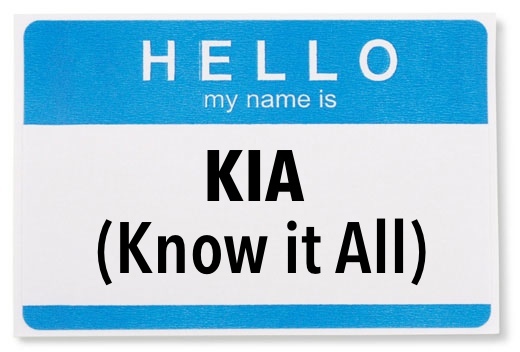 I am going to be bold and be a KIA for a moment… you got this one in the bag! Although I agree heartily with your assessment of “bad leaders” my experience as a Technology Manager and Executive with over 30 years experience is that most companies DO NOT WANT good leaders. These “good leaders” are too much trouble – they cause too much trouble – they want to do things right – they want to build high achieving teams that love coming to work everyday – they foster pride in their teams and in their teams’ achievements and in the quality of their work. They get things done right the first time, on budget and on schedule. They instill wrong-headed ideas like quality, pride, loyalty, vision, and …. oh no! ….fun in the workplace. This makes the highest levels of management in the company very nervous because the rest of the company can see them for what they are. Most companies and most senior executives today want only one thing – a lot of yes men who will promise anything in any time frame and use whatever tactics no matter how harsh to punish the underlings when the promised miracles don’t happen. I am quite sure that most companies and high level execs don’t really care if a product ever comes out – all they are looking for are promises that they can point to as achievements before they jump to a higher rung on some other company’s ladder. North American Software and Technology development is in deep trouble – bad products, products nobody wants, products priced way too high, abysmal product support, and companies nobody wants to work for any longer than they have to. I have always believed that talented people don’t quit companies – they quit managers. This was reinforced when I was fired one time because my “staff were too loyal to me and that poses a threat to the company”. You should write a post on this and call it WHY there’s a rise of the entrepreneur 🙂 Thanks for your comments! A terrible leader can (under certain circumstances) make you look really good. One lesson I’ve learned: It is important to maintain your values and ethics and never be tempted to follow the Bad Leader’s behavior. For example, while your leader acts purely in self interest, you could aim to help your coworkers and foster a team environment. If your Bad Leader has a boss, you and your teammates may get noticed for your good work. When your Bad Leader is REALLY terrible, it doesn’t take much to look good by comparison. Of course, this tactic doesn’t always work; sometimes people never get recognized. However, it’s always worth taking the high road and trying to be the best teammate and employee you can be. Worst case scenario, you can always leave the company (as the author points out). Anecdotally, I used this tactic and was lucky enough to be promoted to a position senior to my Bad Leader. The Bad Leader was, as the author states, placed “where they can’t harm anyone.” With the Bad Leader safely tucked away in a dead-end position, people seem happier and more relaxed. H. Maxwell – I agree with you. Sometimes the best opportunities come from Bad Leaders just being themselves. If you wait long enough, have patience and stick your ground, the opportunity may come your way! Thank you Katie for a well briefed article, though I am sure, plenty of great other traits can pop out of a bad leader(BL). One is their embracement and ability to divide and rule which probably is more damaging than KIA. Having said that, certain strategies may work to cope with BLs i.e. to take initiative and work on ideas and projects within company vision without waiting for BL in(ob)structions. They usually follow, though they may claim credit but that is fine. Monzer, great points. You know, if someone takes an idea, I let them. Exceptional leaders can come up with more than ONE good idea. The One Hit Wonderer is someone who makes a mark once. Great leaders leave footprints of greatness everywhere. I don’t mind sharing the love with those who need to feel special. It’s like the KIA…just give them some love. Great article! I have experienced this close up…and I left. The reason? I had a great boss prior to the one that got him fired. He was the total opposite of her. Had vision, communicated, and had a dynamic personality. All the things a good Operations Manager should have. She was the exact opposite. I left because life is too short, and I have a low tolerance level for incompetence. Your article was SPOT ON! The fact is many good managers and operations people left, and what bothers me is that this person is like “Teflon”, nothing sticks, no consequences. I believe the reason is the ownership and/or president placed this person there for a reason. What that key reason is….we may never know. Thanks for the validation though! It helps. Rick – I love it when I read something someone has written and it’s like a page out of my brain. 🙂 Thanks for sharing this. I bet the boss you left will hit that wall one day. When a good person leaves ( as do several people leave), it’s a reflection back on the leader. His/her days are numbered! Katie, the signs you mention are right on the spot, but your intention to provide hope is not. That section is not true. I personally know whole organizations and leaders (not one but many) who posses all five and have a C-suite “distinguished” career. Apparently B@$%! got them into the spot and sustains them through. I used to think that this kind of behavior let you reach the top but does not allow to stay there. I learned when a whole culture at large created out of this kind of leaders, they are supporting each others and not just survive but thrive. Of course the company is not even close to be Fortune 2000, but who cares? billions of other companies are not. Just to clarify, this is not my present one. You are just half correct.